I was off work sick today - very bad cold in my chest. At one point I had to go out to the pharmacy to get more supplies to keep my cold under control and I walked through the Byward Market in Ottawa. 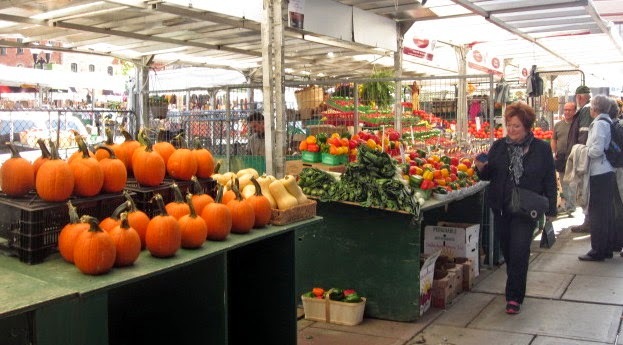 The farmers' market was a mass of beautiful autumn colours! 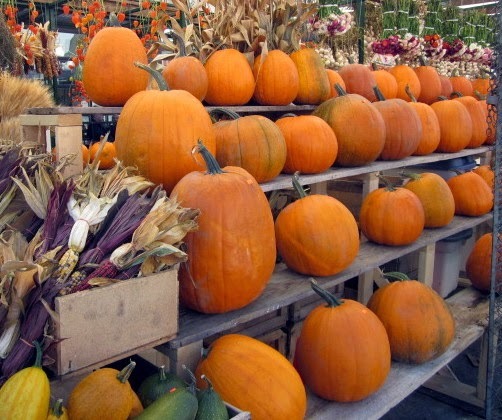 Everywhere I looked, there were stacks of produce coloured orange, russet, brown - perfect for the first day of Autumn. This table full of gourds was amazing! It wasn't very warm out (only about 17 degrees Celsius) but there were lots of people milling about. 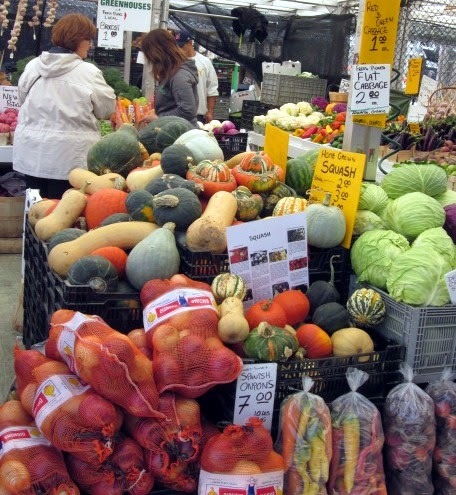 I bet most of them were just like me - enjoying the wonderful sights and colours of the market. 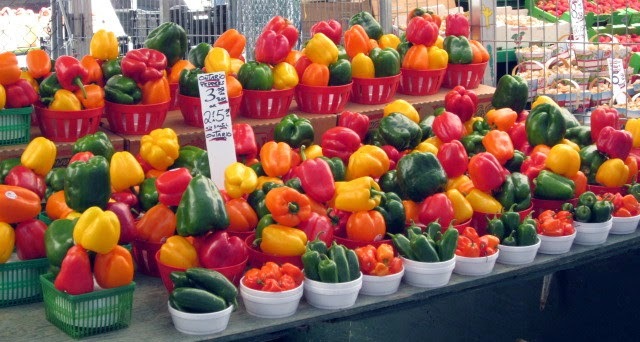 Isn't this display of peppers wonderful? Almost makes up for the fact that summer is over. 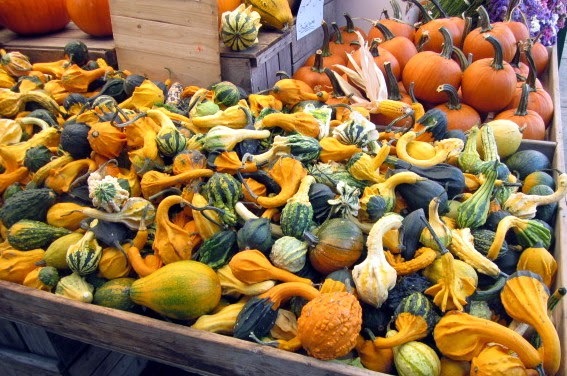 I love all the different shapes and colours of the fall squash. Yummy to eat, too. Hope you feel better soon. Beautiful! I hope your cold is better.